Am I a Deadbeat if I file for Bankruptcy? I hear this a lot from people (even other lawyers). There is a perception out there that anyone who files for bankruptcy must be someone who doesn’t care about the debt that they have, that they are looking for an easy way out, or that they are trying to defraud the system. Well, I’ve been practicing bankruptcy law for awhile now, and I’ve got to be honest: I have not yet met this person that everyone is talking about. I have yet to be introduced to all the people who are apparently out there trying to pull a fast one on all their creditors. And I’ve been doing this for awhile. I’ve met with a lot of people over the years, and have filed many bankruptcies to help get them back on their feet (either Chapter 7 or Chapter 13). Most of these people have tried everything in their power to pay back their debts before they come to see me. Some have spent years doing everything they can to stay on top of things. They sell their possessions, cut back on expenses, eliminate non-essentials (like say cable tv), and even go without a meal here and there. By the time they come into see me, they are frequently at the end of their rope. Now keep in mind, these are people that have done everything within their power to stay afloat. The last thing they want to do is meet with a bankruptcy attorney. And very often, I am the first attorney that they have ever met with in their lives. There is nothing wrong with these individuals. These are good people. They are working as hard as they can to make ends meet, love their families, help their friends when they can, and DO NOT want to be in a position where they have to file for bankruptcy. But unfortunately, there are certain circumstances that come up in life. The loss of a job and a severe medical condition are frequent occurances. But there are any number of things that lead people towards bankruptcy. Keep this in mind: the government describes the bankruptcy process as a ‘fresh start, clean slate.’ It’s a chance to wipe the slate clean, and move forward with life. 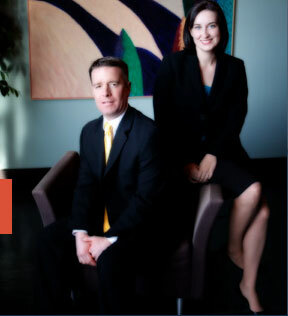 If you’d like to speak with an experienced St. Louis bankruptcy attorney today, don’t hesitate to call. All phone and office consultations are free of charge.